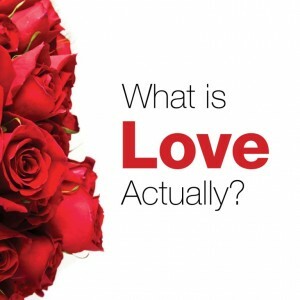 ‘What is Love, Actually?’ is a fun evening for couples to look at the subject of love and includes clips from the film. It’s delivered by the FamilyLife team and hosted by a church or community group and is particularly suitable for pub and club venues as an outreach and informal ‘taster’ of what we do. A FamilyLife speaker couple share personal stories, film clips and fun to explore the subject of love. The speakers also introduce a helpful relationship tool, The Five Love Languages® developed by Gary Chapman. “Absolutely brilliant…. Really enjoyed it and found it very interesting, thought provoking and helpful. Made us feel comfortable and relaxed”. Anyone can host this event. A host needs to invite couples, provide a suitable venue, some hospitality and a warm welcome! Good venues include schools, community centres, pubs and clubs. Some church buildings are also suitable if seating arrangements are flexible. Ideal venues will allow couples to sit at tables for two. Some hosts like to decorate venues to make the evening a bit special. Multimedia is helpful but not essential because arrangements can be made for the FamilyLife team to bring a projector, screen and sound equipment. The host needs to actively publicise the event and invite couples. Twenty couples is a minimum number. Some kind of refreshments are essential. It could be simple food or a more lavish meal depending on what facilities you have available. A glass of wine with nibbles or coffee and puddings are also nice ideas. Think about whether you want to have people to serve or go buffet style. ‘What is Love, Actually?’ is a great event for all kinds of couples, married or not, struggling or solid in their relationships. A practical, Biblical perspective on love is contrasted with other ideas about love in a fun, cringe free and very engaging way so that the event is suitable for those of all faiths and none. Some hosts have held this event as an outreach into a community, to strengthen relationships and families. Some hosts have held the event as a stepping stone to lead to other relationship or marriage events and courses, such as FamilyLife’s A Day Together. It’s also suitable as a stand-alone evening or to celebrate Valentines. If you want to find out more please contact us.